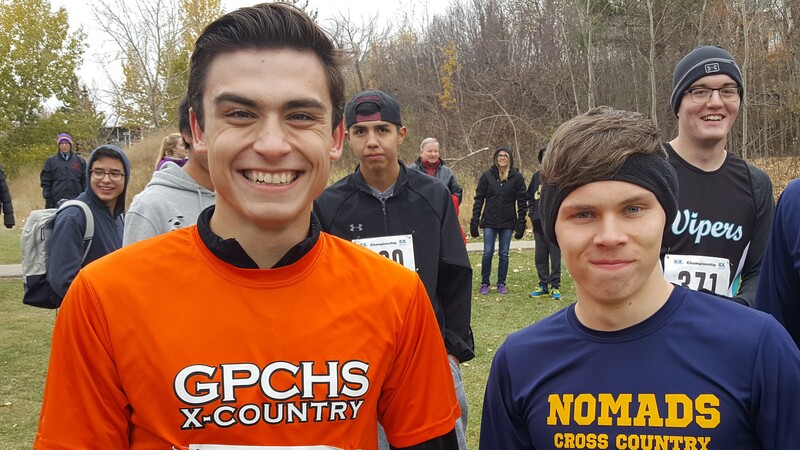 GP Composite High School runner Brandon Tufford turned in a run for the ages on Wednesday at the 2017 ASAA NW Zone XC Running Championships in Muskoseepi Park. Tufford, who had a pair of 4th place finishes at last spring’s ASAA Provincial High School Track Championships, led from gun to tape in the Senior Men’s 6000m race. He stopped the clock in 20:08, two minutes ahead of second place runner Brice Wilkes of Peace River. Beaverlodge Regional High School athlete Kobe Grocholski was almost as dominant in the Junior Men’s 4000m. Grocholski won his race by 53 seconds, recording a time of 13:48. Peace Wapiti Academy was the top team in the Senior High competition. Hythe Junior High School topped the standings in the Junior High race. The top athletes in the Senior High races qualified for the ASAA Provincial XC Running Championships in Edmonton on Saturday, October 21. This entry was posted in Cross Country and tagged ASAA Cross Country Running, Beaverlodge Regional High School, Brandon Tufford, Grande Prairie Alberta, Grande Prairie Composite High School, Kobe Grocholski, NW Zone Cross Country Running, Peace Wapiti Academy. Bookmark the permalink.